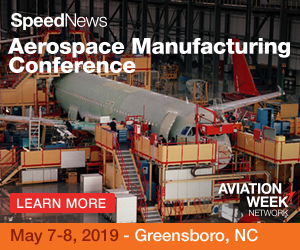 SpeedNews has been the source for easy-to-read news and information for executives in the commercial, business, and military aviation industries since 1979. SpeedNews, the newsletter of record for the aviation industry since 1979, provides reliable civil aviation news and information in its signature concise, quick-read format. Subscribers acquire the latest industry news, providing leads for new business and background and market intelligence to formulate business plans. SpeedNews is a valuable source of information for the aviation industry, including commercial aircraft orders and deliveries, program status reports, aircraft in storage and much more. The most comprehensive online database of free listings of available aircraft and engines in the industry. SpeedNews produces and organizes Conferences designed for senior-level decision makers and analysts. Each of these Conferences provide you with an array of information pertaining to the aviation industry. 4/16/2019 - EMBRAER received type certification for E195-E2, to enter service in 2H19 with AZUL. 4/15/2019 - AMERICAN AIRLINES has extended cancellations for 737 MAX through August 19 although it expects aircraft to be recertified before that time. 4/12/2019 - SUKHOI CIVIL AIRCRAFT named Ravil Khakimov as its next President. 4/10/2019 - NORDAM emerged from Chapter 11 following equity investment from THE CARLYLE GROUP. 4/9/2019 - EMBRAER nominated Francisco Gomes Neto as new President and CEO. 4/8/2019 - BOEING has temporarily dropped its 737 production rate from 52 to 42 aircraft per month as it works on MAX's MCAS software update. 4/5/2019 - AIRBUS delivered 74 aircraft (five A220s; 13 A320ceos; 44 A320neos; three A330s; eight A350s; A380) in March 2019 vs 56 in March 2018; and 162 aircraft in 1Q19 vs 121 in 1Q18. 4/4/2019 - AERNNOVA acquired Southern California-based STRUCTURAL INTEGRITY ENGINEERING.